After posting my holiday hair inspiration in part one of my Pantene Holiday Hair series, it was time for me to decide what products would help me achieve the look. I knew that for this look, I needed moisturized and elongated curls. I opted to do a co-wash on my hair and followed by a braid out. I knew the co-wash would gently cleanse my hair without stripping away too much moisture and the braid out would help elongate my curl pattern. As you may be able to tell, I was not able to achieve the exact hairstyle like in my holiday hair inspiration post because although my hair is thick, it wasn't as long as I thought to create the original look. I opted to leave sideswept bangs with a puff. There are still a few days for you to enter to win the same nine products that I was given by Pantene. Must complete the one mandatory task. How did I do? 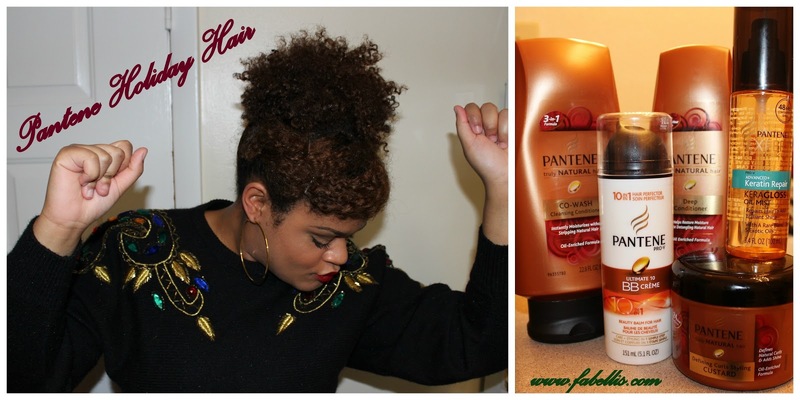 How would you have styled your hair with these products? The style came out very pretty!! You look gorge. I love that lipstick! I love Pantene and I Love your 'do! so beautiful! Oh and your makeup too! I love the style! I can't wait to use all of the products. Pantene has never failed my hair. I love your hair. I would love to try the deep conditioner. I really like how curly your hair is, my hair can never get that way. I love how your hair turned out! I've been using their conditioners to cowash and really like them. 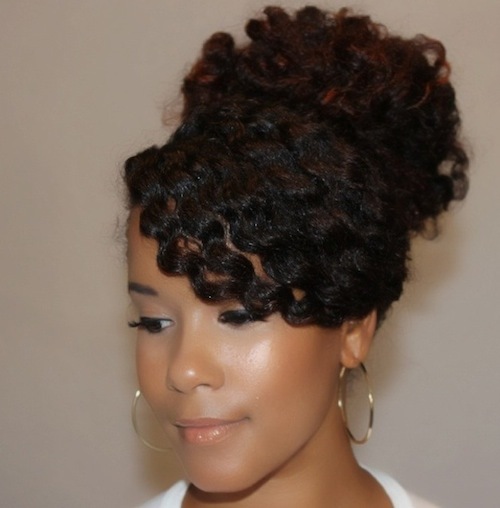 I love this hairstyle! It would be a go to for days when I want to dress up a little. I would like to see how the Curls Custard work on my hair because yours turned out great. I like! Your hair color makes the style pop! Very cute! I would like to try the Curls Custard.